Classic, full day, daily, seasonal and baby. From 10:00 to 12:45, 3 hours a day. *Thursday from 10:00 to 13:50, lunch in a hut. Course for skiers who enjoy snow during the weekend. The course starts on Friday afternoon and finishes on Sunday. 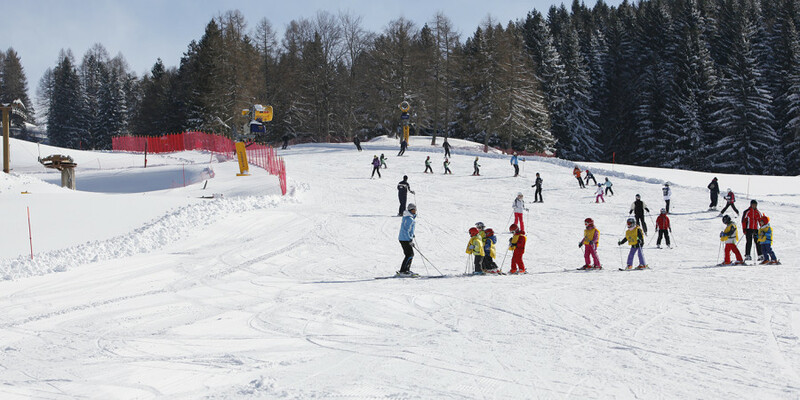 It includes 2 hours ski lesson per day for a maximum of 6 children. Every day the class includes: lesson with instructors from 11:00 to 12:50 and Kinderland assistance (from 10:00 to 15:30) with animators – (lunch included). Saturdays’ season ticket from COSTA di FOLGARIA and FONDO GRANDE. Adults and children for beginners and/or technique enhancement with agonistic involvement.